Does Brandboom support different languages? We unfortunately do not have a way to change languages for interface appearance (buttons, prompts, etc.) on either the Seller or Buyer side. At this time, we recommend using the browser's Translate function to assist with this. In the screenshots below, you can see Google Chrome allows the user to choose a language they want to translate the page into. If you would like to see Additional Language Support for our interface in the future, please contact Support. 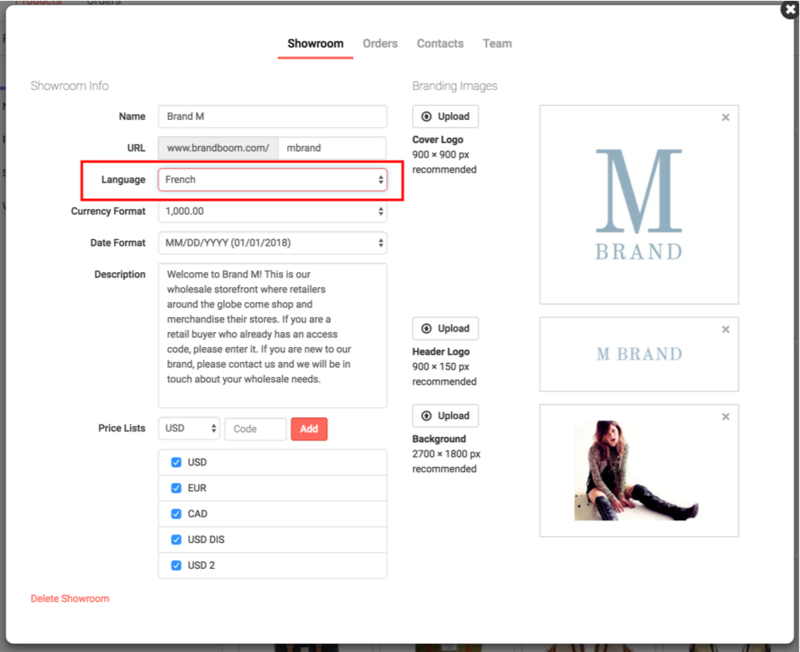 You can always input product information in different languages for your Product's attributes and they will display accordingly for the buyer. The language that is set in Showroom Settings only exists in name and it doesn't affect any of the contents of the Showroom. 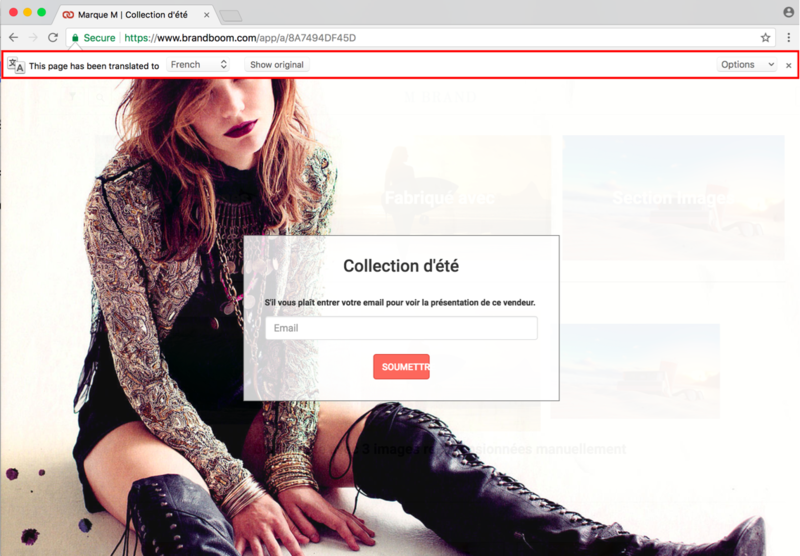 It is simply a way for users to differentiate between multiple Showrooms that may have Product information in different languages.